I walk along the Champion’s avenue, taking a look at pictures of the players who have gone on to win the Australian Open – Djokovic, Federer and Serena Williams. 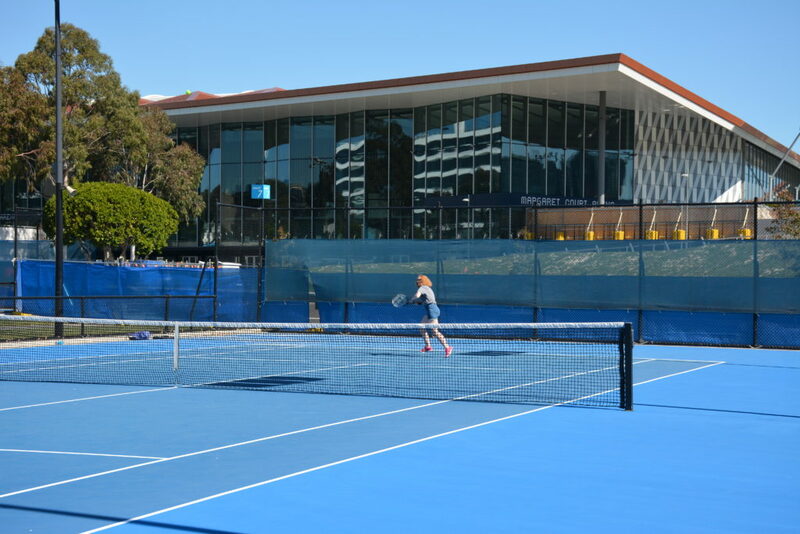 Unfortunately I was not going on to Rod Laver to win a grand slam title, I was merely on a tour of the Australian Open venue, but I was able to get an insight into what goes on behind the scenes and what the players might experience. And actually, I did get to play some tennis on one of the Open’s courts so maybe there’s still time for me. 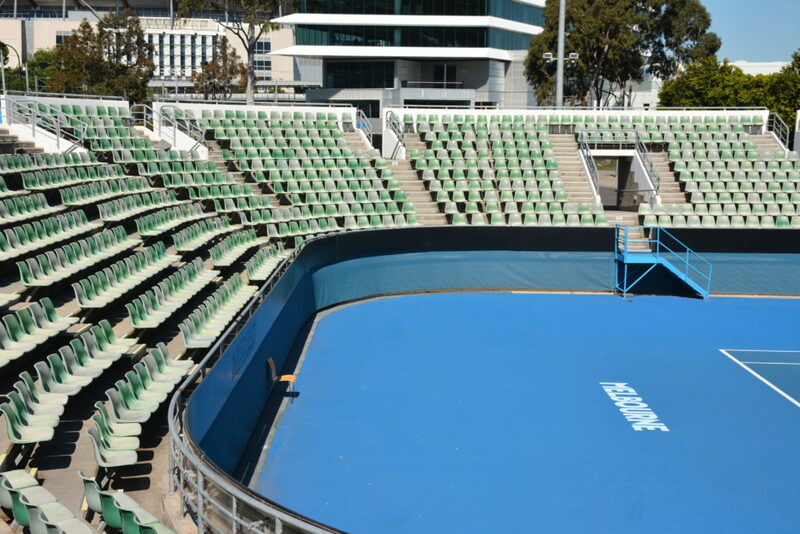 When we were researching things to do in Melbourne, one of the first things that came to mind was of course the Australian Open venue. Upon looking we found out that there were tours and after checking in to our Airbnb, we rushed over there to get on the tour. During the tour, you’re taken through the corridors to see where the players hang out and sort out their accommodation. You also get to see the trophies themselves. Top of my list was the press room to see where the lucky journalists get to grill the players. I didn’t realise that players can be fined A$10,000 for not turning up to their press interviews – that’s crazy! 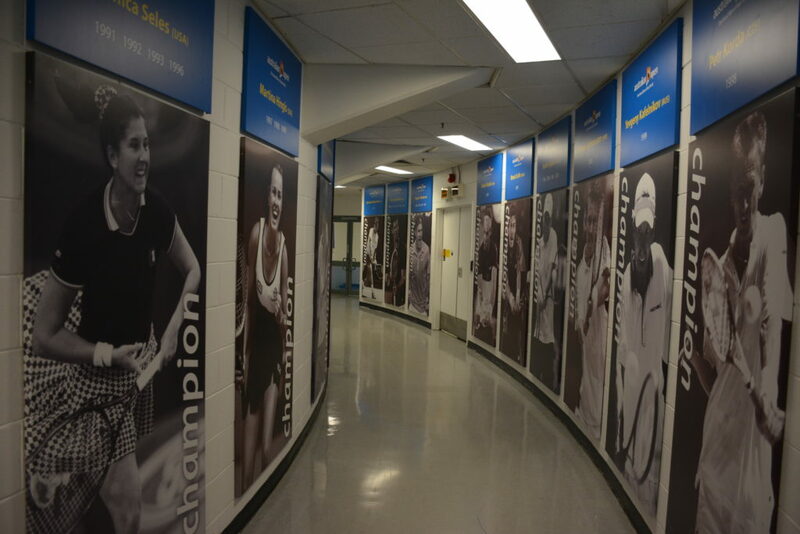 My favourite of course was the champions hall where players are filmed walking through the corridor before stepping onto Rod Laver Arena. It’s one of those amazing feelings to think back to when you watch it on tv and recognise it all. I can’t imagine the thoughts going through a player’s head when they go through the corridor. 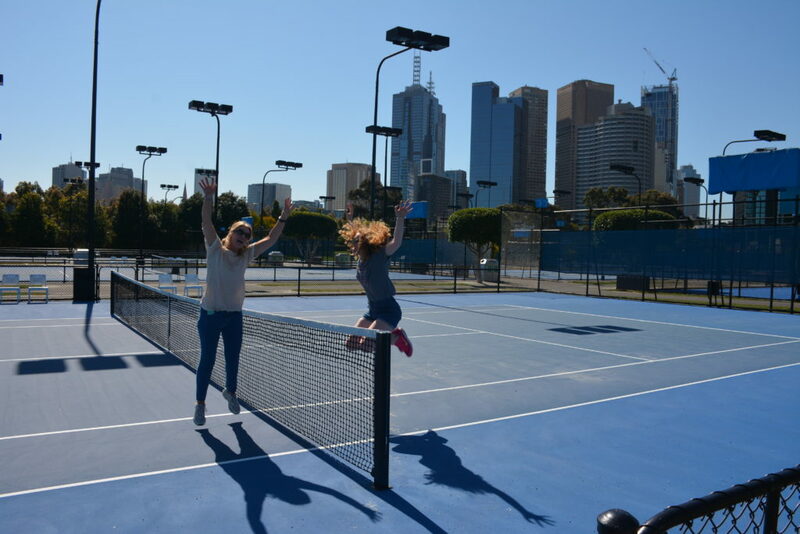 And when we were done we were allowed to use the courts for free! 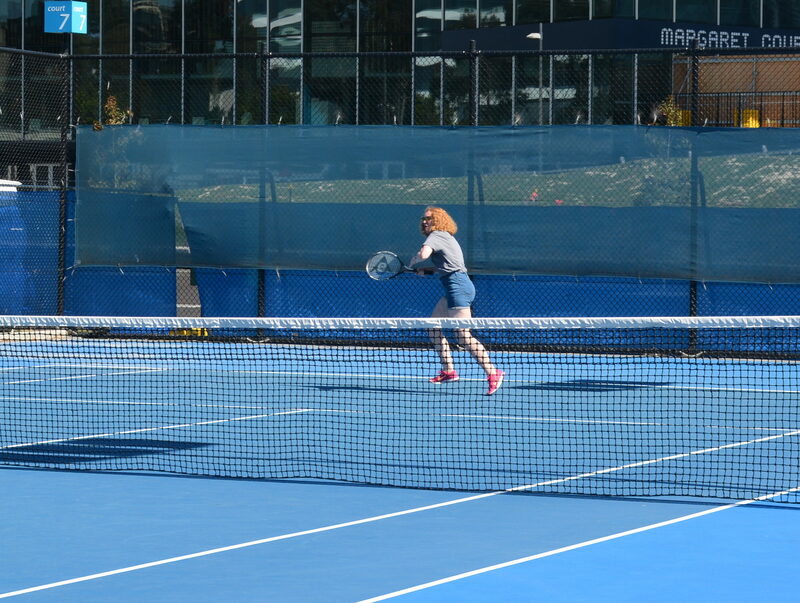 I couldn’t resist playing a bit of tennis on an Australian Open court could I?! It was weird to think that the likes of Djokovic and Murray could have played on this court and I’m not going to lie, I did come off the court feeling at least a little bit like a tennis superstar which is a shame as I was rubbish! "Things you think about during a long haul flight"
"Spending Christmas in Sanya, a Chinese paradise"
That’s so cool that you can get out onto the courts- what a great idea for a tour for sports fans! Yeah I couldn’t believe it either. Amazing experience! LOL I can’t imagine that happening at wimbledon. I know they occasionally do special influencer events, but it isn’t for the general public! Getting onto Wimbledon would be a dream but i’m pretty sure you’d have to actually turn pro to be able to do that – we can wish right?! That’s really cool. I’m not much of a tennis fan, but I can imagine that tour would be so exciting for someone who is. It’s cool to be able to go through the halls and see everything. I would love to do something like this. Those grand slams are just so iconic. Cool to play tennis on there too! How cool to get to play on the same courts as all the tennis elites. That’s a really great benefit that the tour offers. You must have felt like a “star.” Great tour experience and something I will look into doing in the future!! I’ve just never gotten in to tennis. It’s a little too slow and quiet of a sport for me to sit through. But there are die hard tennis fans out there and I bet they’d love to tour an Open venue like this one. What an awesome post. I never knew you could do this type of tour in Melbourne. I love your jump shot, looks like you had an absolute blast. I can’t believe players can get fined so much for not showing up to interviews – I know it’s unprofessional, but ouch! That’s sooo cool that they let you play a little bit – must have felt really epic! I thought cricket was popular there. This is a different kind of tour, tennis enthusiasts will definitely love this. If you are really a tennis fan I’m sure you have to check out Melbourne Park and do a stadium tour. The price is reasonable and worth it. You can visit the locker rooms, the press area, the corridor to the stadium, the trophies, and different arena. Wow! You can have a glimpse of some tennis superstar!